Navigate the streets of Israel with confidence. 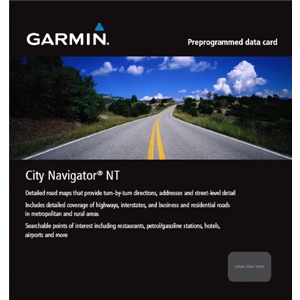 City Navigator Israel NT provides detailed road maps and points of interest for your device, so you can navigate with exact, turn-by-turn directions to any address or intersection. Route to restaurants, gas stations, lodging, attractions and more. Coverage includes detailed maps for most of Israel, including major cities like Jerusalem, Tel-Aviv, Haifa and Eilat.